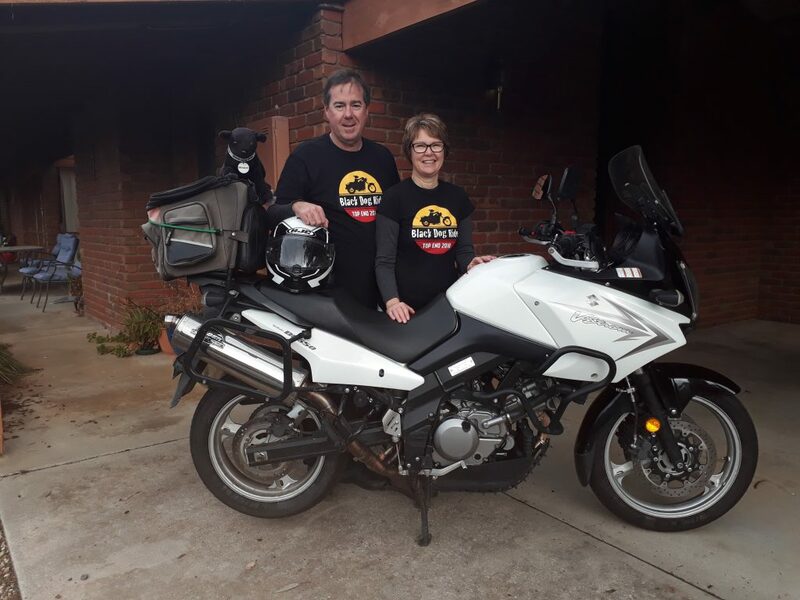 Greg & Sheryl Murdoch will this week join hundreds of Black Dog Riders to embark on a life changing journey across Australia culminating in our arrival in Darwin on the 17th August in celebration of the coming together of Black Dog Riders from every corner of the country, united on our mission to raise awareness of depression and suicide prevention! Please support our cause. Thanks Greg & Shez. Well done Greg Sheryl! Great effort Great cause. Great work and a great cause . I am pleased and proud for your journey and helping others realize that the black dog awareness is alive in us all and that we are not amune to it. Stay safe hurry back to work! Have a great trip guys. Have a save trip, your doing amazing work. Love Mum. Have a great ride wish we were there along with you. Maybe next time!!!! Damian and Kerry. Well done Greg Sheryl for all your efforts and safe travels.